Experience adventure, wilderness, trekking and more. 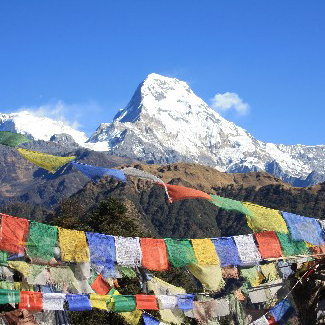 Our Nepal program offers students an intriguing blend of well-paced, safe outdoor activities. The rugged foothills of the Annapurna Range will reward those willing to go beyond their limit with stunning views of mountain vistas. With many included experiential learning activities, students come away with a full and real appreciation with the people and traditions of this magical Himalayan kingdom. Hero’s Journey is a model developed by Joseph Campbell (1949). It narrates an individual’s transformation and involves three phases: departure, initiation and return. As students soon to be graduating from high school, they are nearing a major transition in their life. The program can be likened to the departure of students from their early life, and entering a new territory in which they can explore new experiences and skills. After the program, participants are better equipped to navigate their transition into emerging adulthood.